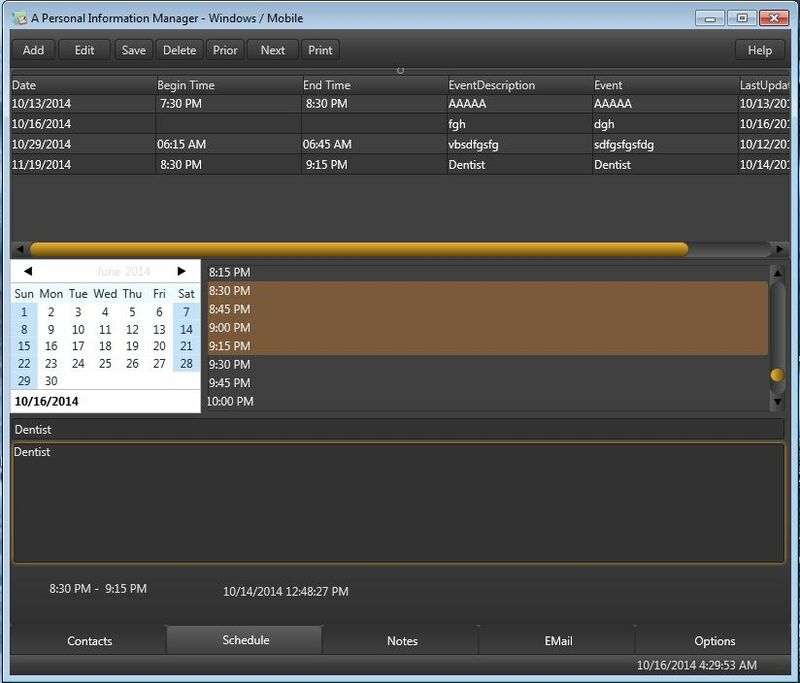 InfoMan is a Personal Information Manager for Windows Vista, Windows 7, 8, 10, iOS, OSX, and Android. 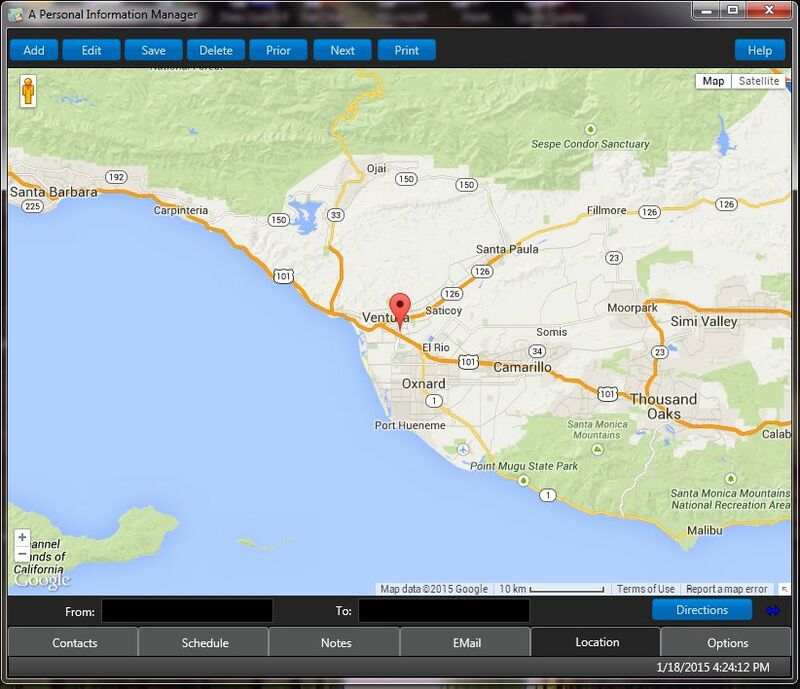 Includes Complete Contact Information, Scheduler, Notes, EMail and Google Maps Address Locator/Viewer. 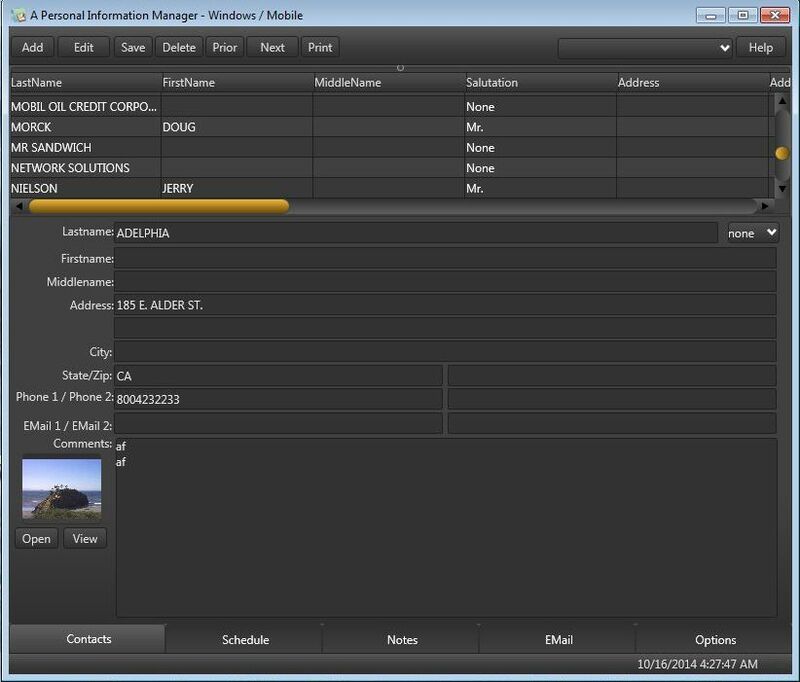 InfoMan is a Personal Information Manager with sharing capabilities between PCs and Mobile Devices. Save Contact Information, complete address, email, etc. with Photos in an Organized fashion. Create and Organize Notes with Photo. Send and Receive EMail with attachments. Supports GMail. Transfer Contact, Schedule and Notes Information to Info Manager on Android, OSX, iOS, and PCs running InfoMan using WiFi Network ! Supports Google Maps, showing locations for addresses. Locate any place in the world and get panoramic view of location as feature in Google Maps. Share Contacts and Calendar Events with Google Contacts and Google Calendar. Share iOS, MacOS, Android, and Windows Contacts, Calendar Events, and Notes using Local WiFi. Create and Print Form Letters to send to selected Contacts. Print Labels for selected Contacts. If you are using Windows 7 or later, download the 64 bit version (download button on the right (version 2) ! Rated 5 Stars by Geardownload.com and . Rated 5 Stars by BlueChilles.com . Rated 5 Stars by FileGuru.com ! Version for Android - Exchange Addresses, Schedules, and Notes with Windows and Mobile Versions. Version for iPhone and iPad .- Exchange Addresses, Schedules, and Notes with Windows and Mobile Versions. Exchange Contacts between Android and iOS system Contacts. Version for Macintosh - Exchange Addresses, Schedules, and Notes with Windows and Mobile Versions.